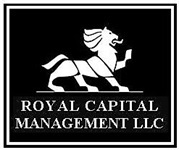 Professional investment management since 1975. We are a registered investment advisor with the SEC. We serve you as a Fiduciary not as a salesperson. We start by developing your personal Investment Policy Statement which includes your goals and risk tolerance. Your account is separately managed. Access to our proprietary process Four Component Portfolio Plan™ to maximize growth and safety. We buy individual bonds at institutional prices. Your securities are held at Fidelity's National Financial Services LLC. Ask us for a recent sample of our comprehensive quarterly performance reports.